Arrive Delhi we picked up from the Delhi airport or hotel. You will have a half-day tour of Delhi visiting, the 11th century Qutub Minar, a UNESCO World Heritage Site built by Qutub-ud-din Aibek of the Slave Dynasty, Humayun's Tomb, a UNESCO World Heritage Site which was an early example of Mughal architecture, Bahai Temple, also known as the Lotus Temple (closed Mondays) and the India Gate, a war memorial. You will also drive by the Parliament House, the President's Palace and Secretariat buildings. Afterward, you will be taken to Agra, the city of the Taj Mahal. At sunrise, visit the world famous monument of love, The Taj Mahal, a UNESCO World Heritage Site (closed Fridays). After breakfast, visit the historic Agra Fort, also a UNESCO World Heritage Site. Then enjoy free time for shopping in Agra before heading to Ranthambhore National Park. Upon arrival in Ranthambhore, check into your Jungle Resort. 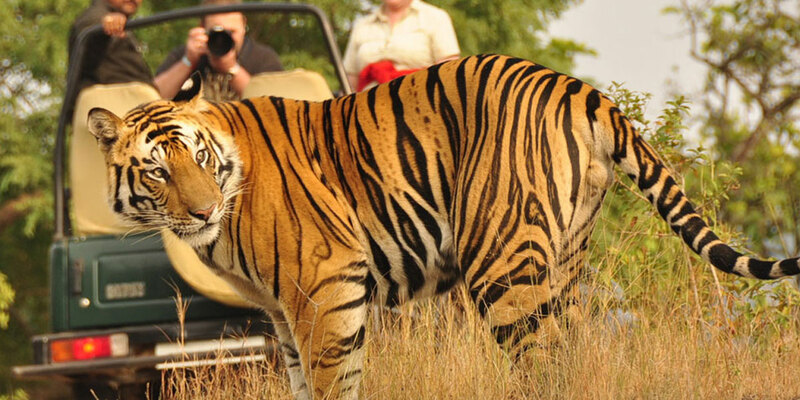 Enjoy two trips, morning and afternoon, in the Tiger Reserve in a shared Jeep in search of Tigers. The Ranthambhore National Park, which is considered to be the best place in the world to photograph the tiger in its natural habitat, is a wonderful place for bird-watching too. After breakfast, check out and drive to the 'Pink City' of Jaipur. Upon arrival in Jaipur, check into your hotel and spend your afternoon sightseeing and visit the Maharaja's City Palace, the royal residence of the former King of Jaipur. After that, visit Jantar Mantar Observatory, an astronomical observation site from the 18th century, a UNESCO World Heritage Site. Your evening will be free time for shopping in Jaipur. After breakfast, proceed to tour the majestic Amber Fort that is situated on top of Amber Hill. Later, stop for photos at the Lake Palace (Jal Mahal) and the Palace of Winds ( Hawa Mahal). In the afternoon, you will be driven back to Delhi and dropped off at your desired location in Delhi.